From time to time, a parent will need to bring their toddler to the grocery store or on another errand before or after preschool. Unfortunately, toddlers do not always exude the best behavior in these situations. Their boredom or discomfort can lead to a public tantrum. 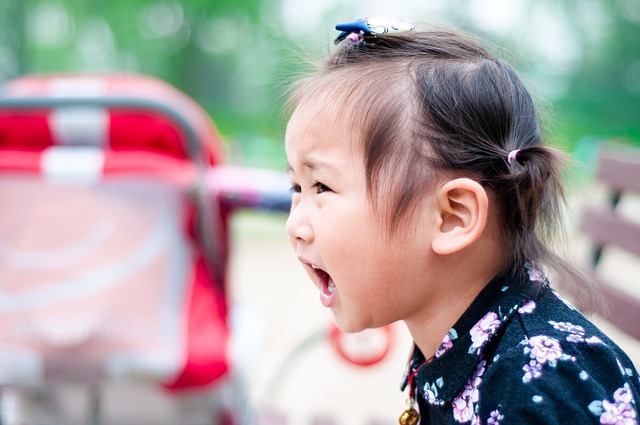 The best way to react to a tantrum or outburst from a toddler in public is to remain calm. Do not lose your patience immediately and try not to raise your voice unless absolutely necessary. You can even try to counteract their behavior or mood by being silly or telling a joke. Whatever course of action you take, it is most important to remain calm as an outburst from you will only lengthen the tantrum and make it more severe. Parents often have a tendency to worry more about everyone around our misbehaving toddler instead of our toddler. Do your best to phase out the witness around you and instead ensure you are meeting the needs of your toddler. Do not meet his or her demands but if there is a genuine need be sure to be attentive to it and not the judging eyes of strangers. You can try to occupy your toddler with an activity or a task. Consider bringing books or a small toy with you on trips to the grocery store and other small chores around town or involve your toddler in the errand as well. Perhaps let him or her help you find different items in the store and then let them put the items in the shopping cart. Sometimes children have a hard time sitting still for too long of a time so if you can include them in the current activity it could delay or defuse a public tantrum. Do your best to avoid saying “No!” immediately after a toddler requests something or starts to throw a tantrum. You do not need to give in to their demands but perhaps delay their request after good behavior or until you get home. Sometimes parents rush to say “No” before truly considering the request of the toddler. Sometimes it’s important as parents to choose your battles and if the request is not a serious inconvenience or unreasonable it might be OK to allow it from time to time in public, even if it ends up being a little embarrassing or inappropriate for the situation. If the tantrum continues to escalate and nothing is working to defuse the situation you might have to consider leaving the public place and handling the situation somewhere in private. If possible, disciplinary actions should always be done in private. Learn more tips on raising toddlers from the Cornerstone Academy website. Find enrollment information here.